Subway Soul Club Stikes Again! The Subway Soul Club Crew swings at Lucille’s… Warren Boogaloo, Jeff Valle, Lady Dawn, Val Palmer and Phast Phreddie the Boogaloo Omnibus. 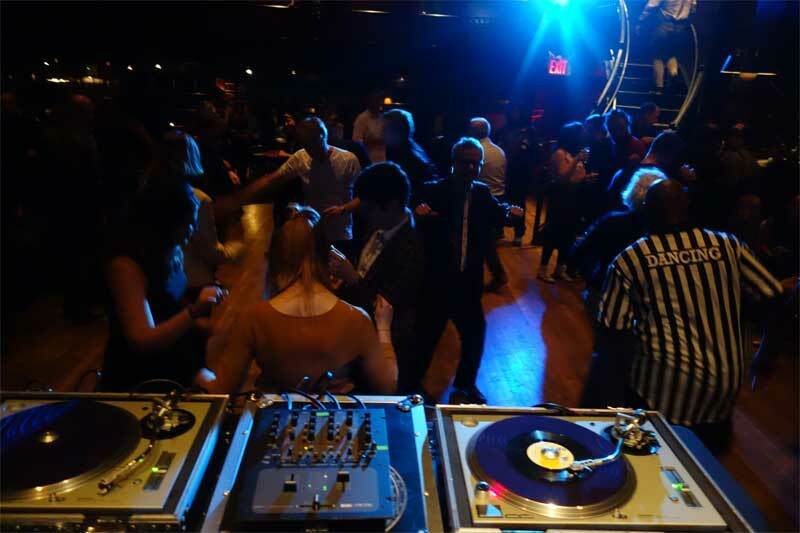 Although The Subway Soul Club only seems to operate twice a year these days, it truly is the premier soul music dance party in New York City. Saturday October 3 was plenty of proof. 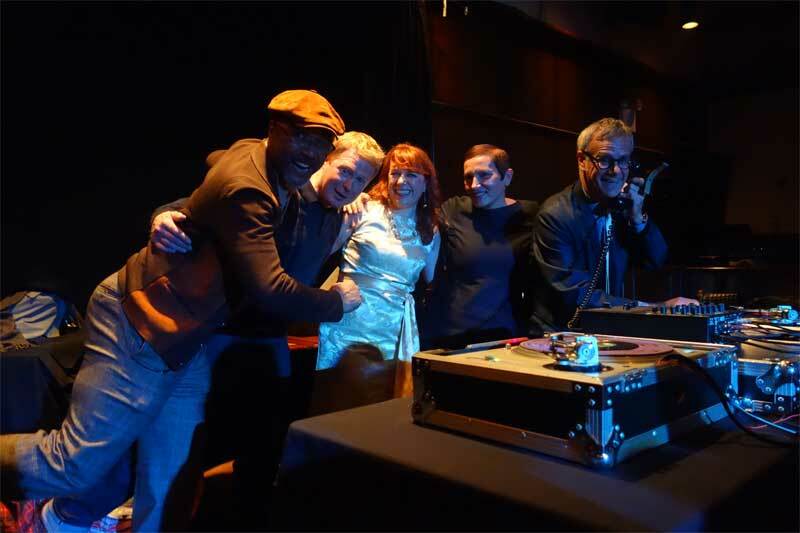 In order to liven things up a bit, hostess Lady Dawn invited some of her British buddies to come be guest DJs, including Val Palmer, Warren Boogaloo and Jeff Valle to join resident DJ Phast Phreddie the Boogaloo Omnibus in the making of the joyful noise. But wait, the day didn’t start for Phast Phreddie at 10:00 PM when the first needle was dropped on a cool BB King record. No! It started much earlier… The Boogaloo household was buzzing with activity by 5 o’clock that morning, as it was the day of the most holiest of record collectors’ holy days: The Allentown 45s and 78s-Only Record Show in Allentown, PA, which commences at 8:00 AM and is a good hour and 45-minute drive from the greater Brooklyn area. The record fair proved to be a fruitful one—as it always is. The Boog picked up more than three dozen 45s without going into his emergency money! Among the records he brought home were twist records (“Twistin’ Pony” by The Hi-Lites, “The Dribble Twist” by The Magnificents), blues records (“Wild Cherry” by Leroy Washington, “Hype You Into Sellin’ Your Head” by Bobby Davis), wild R&B (“Looby Doo” by Bobby Byrd, “Brassette Rock” by The Brassettes), doo wop (“Bermuda Shorts” by The Delroys, “There’s a Love” by The Del-Rios), jazz (“Walk on By” by Roland Kirk, “Dragnet” by Stan Kenton), boss instrumentals (“Scratch My Back” by B.J. and the Geminis, “Plunkin’ by The Musclemen) and some frat rock stompers (“Work With Me Annie” by The Explosions, “Part Time Job” by Mark Valentino). Here are a couple of odd things he picked up: “Harpoon Man” by Charlie McCoy and the Escorts (a cool Bo Diddley-influenced rocker backed with a version of Muddy Waters’ “I’m Ready;” McCoy was the primary Nashville studio harmonica player during the sixties and seventies, so this sort of exuberant R&B tinge is not expected of him) and a very hip garage rock version of Gary U.S. Bonds’ “Working for My Baby” by John Frogg. Of course some soul records were picked up and four of them (noted by an asterisk* below) were played that very night. After a quick dinner, The Boog and Nancy “Jeannie” Gardner, the lovely Boogaloo Bag photographer, rushed to Times Square for the evening’s main event. Soul music enthusiasts swing at Subway Soul Club! British Night at Subway Soul Club is always special. The last one was held back at Rififi—wow, a long time ago! Lady Dawn has been trying to organize another ever since, but timing and distance were always an issue. 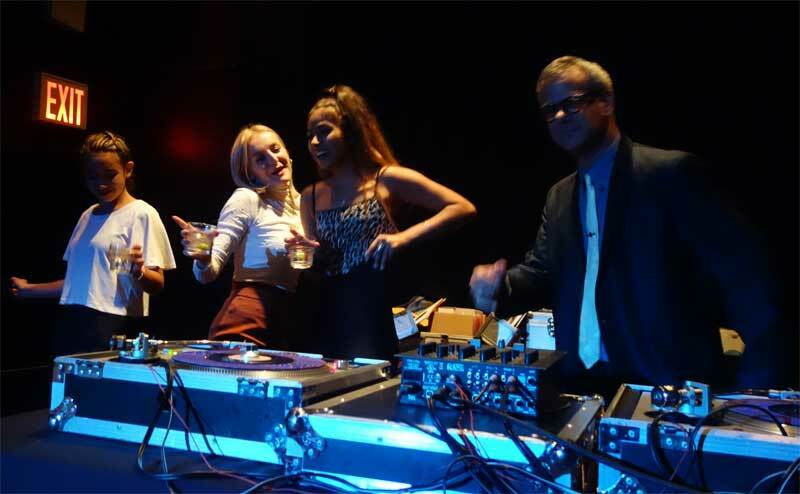 Somehow she was able to get it together with three of the DJs who appeared last time. Val Palmer selects another fabulous track to play at Subway Soul Club! 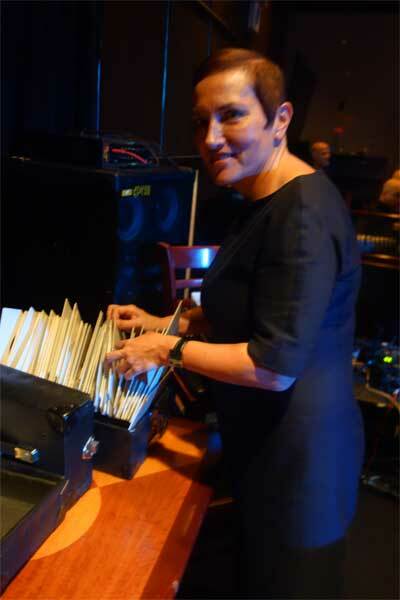 Val Palmer is quite possibly one of the finest female soul music DJs in the world. She really knows her stuff. She has been DJing regularly at the 100 Club in London since the eighties. She blew people’s minds the last time she worked the Subway Soul Club and she did it again this time. Man, that gal can swing! Warren Boogaloo and Val Palmer swing at Subway Soul Club! 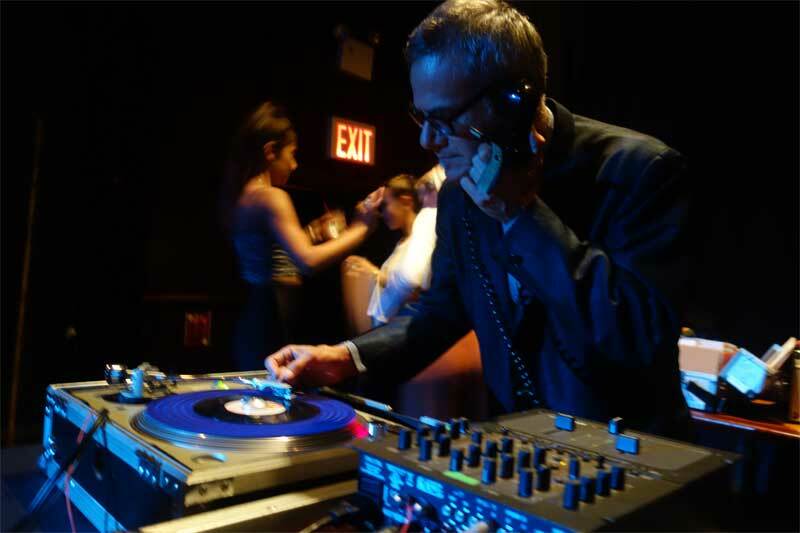 Jeff Valle swings with the legendary Northern Soul DJ Dave Withers at Subway Soul Club! Speaking of swingin’—Waren Boogaloo is no slouch, either. He blends the sixties soul 45s we all know and love—as well as some pretty great ones we’ve got to find!—with Latin soul and Boogaloo records in order to present a very highly rhythmic mix. 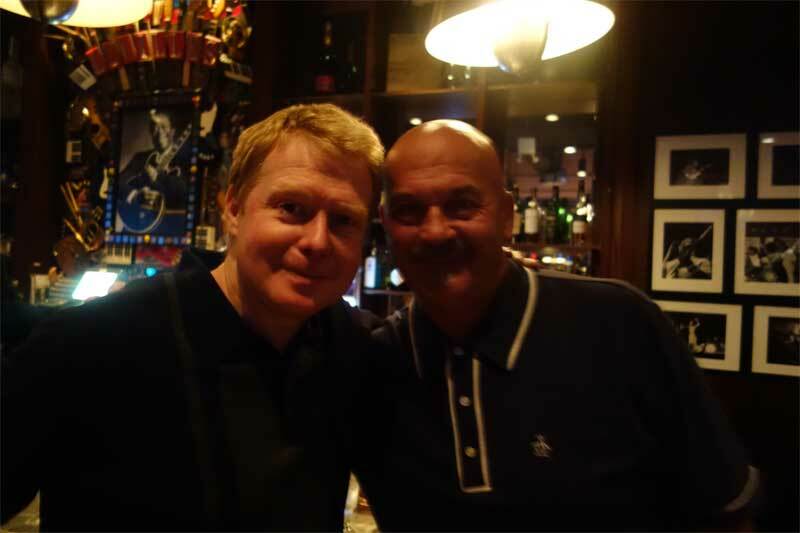 He’s based in London, but he works all over Europe, much to the delight of Europeans! 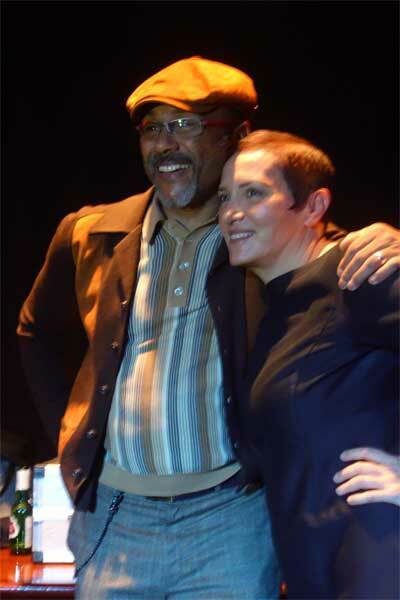 Back in December 2001, Jeff Valle was one of the founders of Subway Soul Club, along with Dr. Scott and Lady Dawn. The three of them created a really great scene, one that basically filled the gap created when the legendary Empire State Soul Club stopped operating around that time. During the summer of ’02, he returned to London from whence he came. So it is like a homecoming when Jeff blows into town and plays a few records for us. Jeff Valle and Warren Boogaloo discuss the finer points of a great sixties soul record at Subway Soul Club! 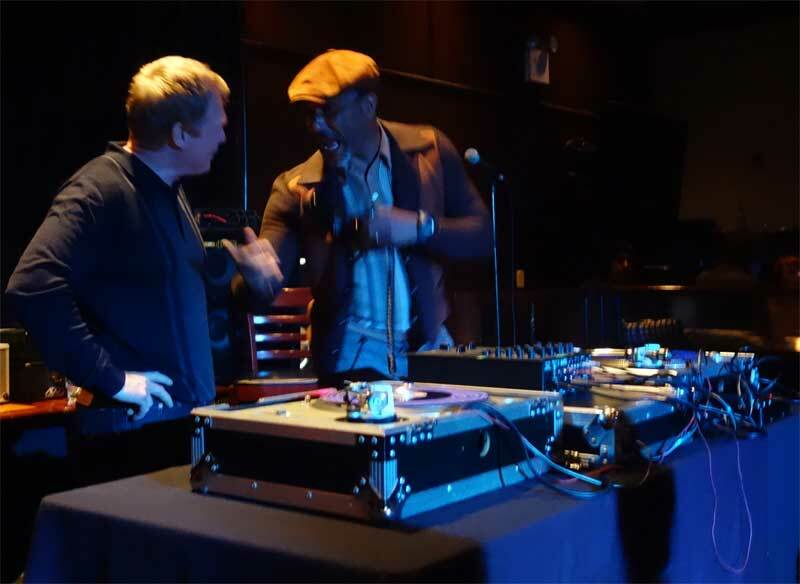 Subway Soul Club, presented in conjunction with our friends at Cavestomp, was held once again at Lucille’s, the groovy nightclub that is adjacent to BB King’s Blues Club on 42nd Street in Manhattan. With it’s great big wooden dance floor and plenty of room at the bar, the room is the perfect place for these kinds of events. Lady Dawn was very much on the scene, chattin’ up attendees, taking pictures with the Boogaloo Bag camera, and you know she was out on the dance floor! Phast Phreddie the Boogaloo Omnibus and his fan club swing at Subway Soul Club! The Boog swingin’!!! Photos were taken by Lady Dawn, Nancy “Jeannie” Gardner and Phast Phreddie the Boogaloo Omnibus. Return of TWIST ALL NIGHT!